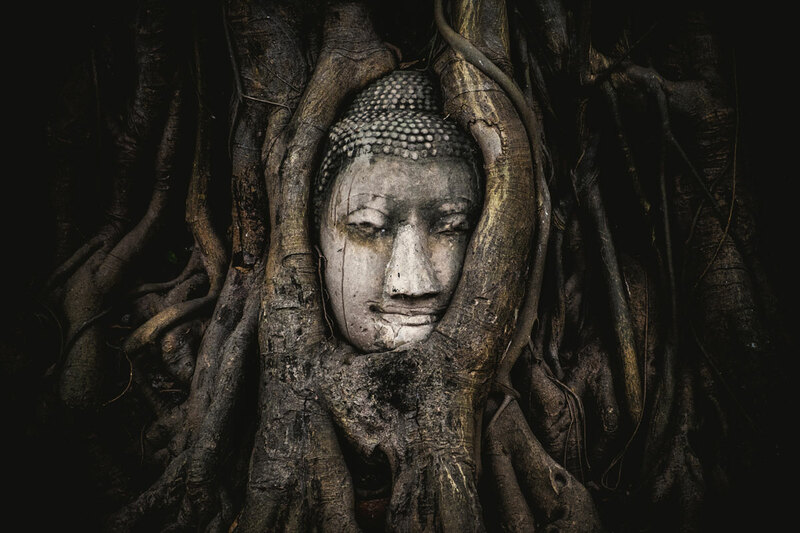 In this evocative photo we see the head of a sandstone Buddha statue nestled in the tree roots beside the minor chapels of Wat Maha That, Phra Nakhon Si Ayutthaya Province, Thailand. The temple is one of more popular tourist and photographic attractions in the UNESCO World Heritage Site of Ayutthaya, an ancient capital of Siam. This photo by Siripatwongpin was taken on January 26, 2015. For those interested you can find the full resolution 4896 x 3264 pixel image here.